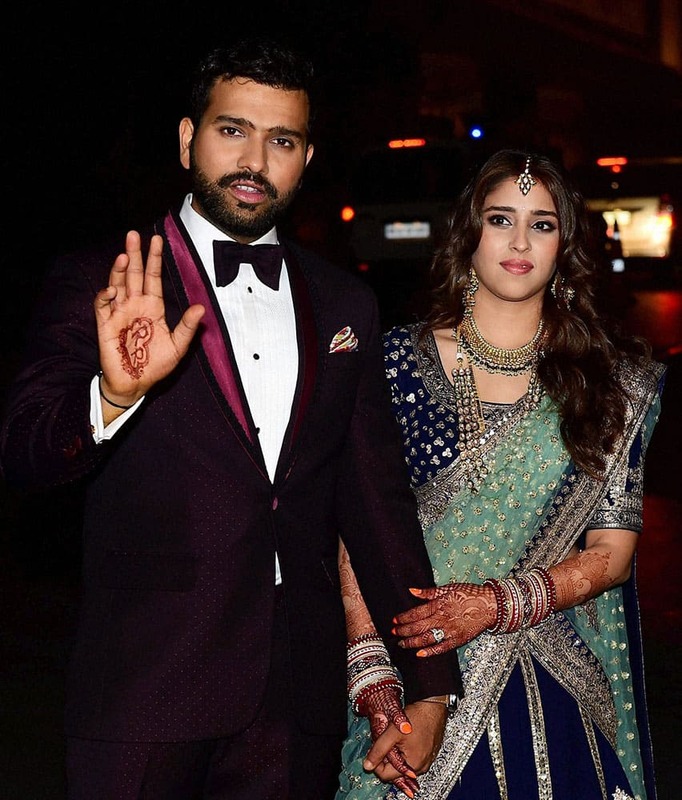 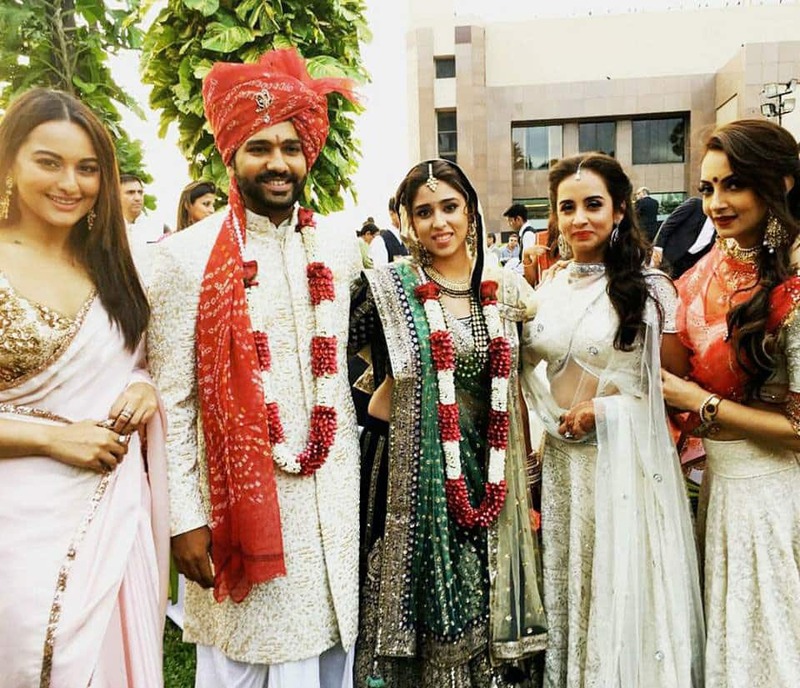 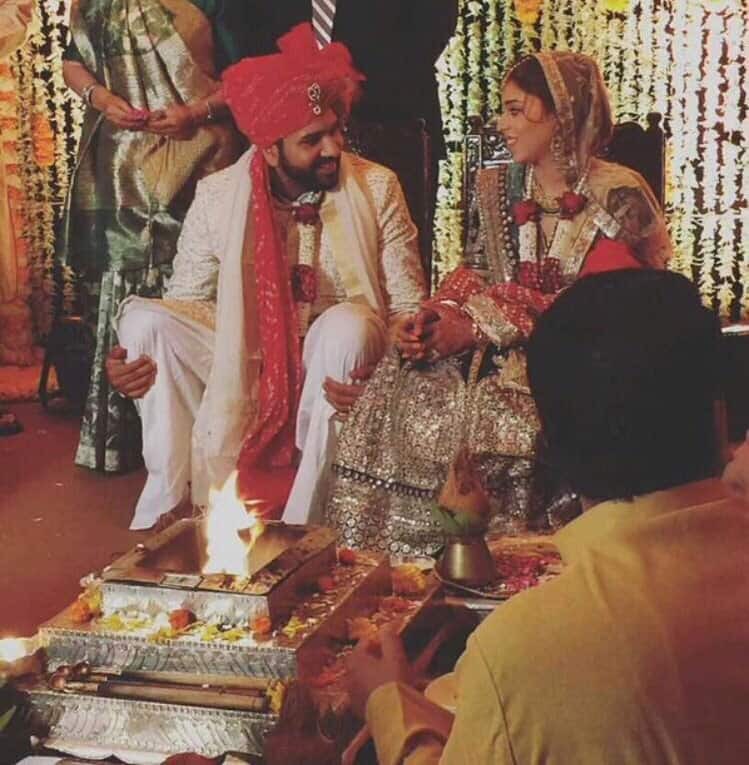 Newly wed couple cricketer Rohit Sharma and Ritika Sajdeh pose for a photo at their wedding venue. 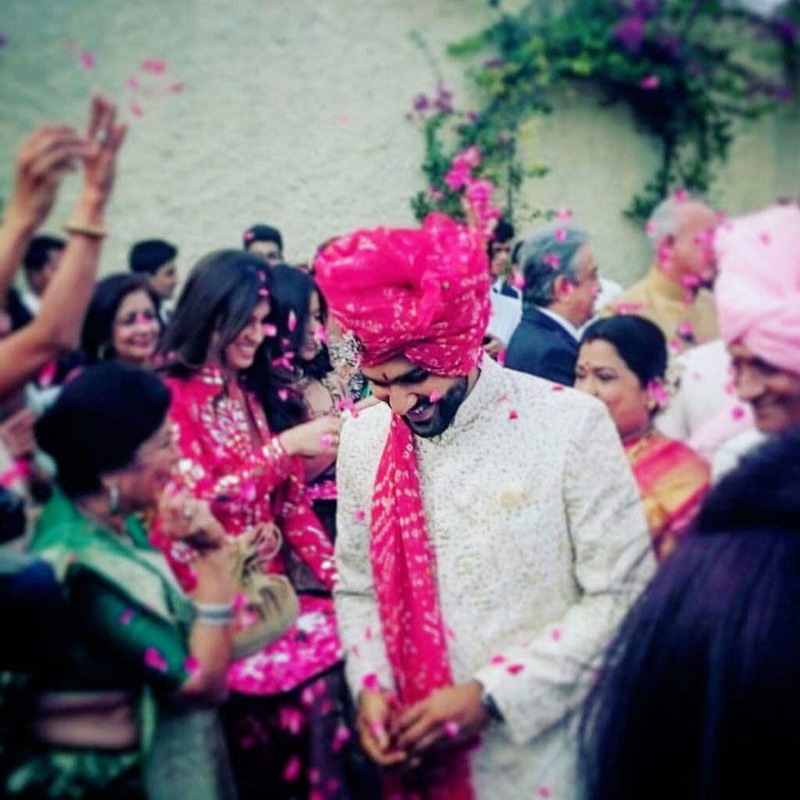 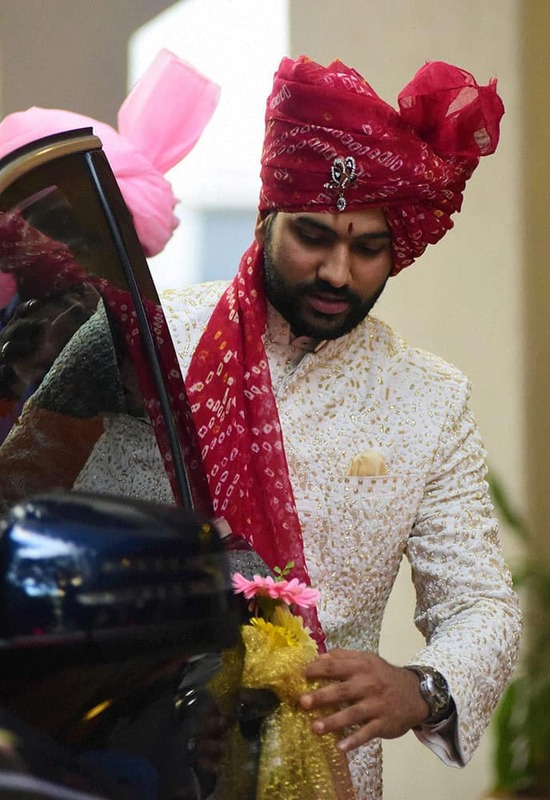 Cricketer Rohit Sharma leaves for his wedding ceremony in Mumbai. 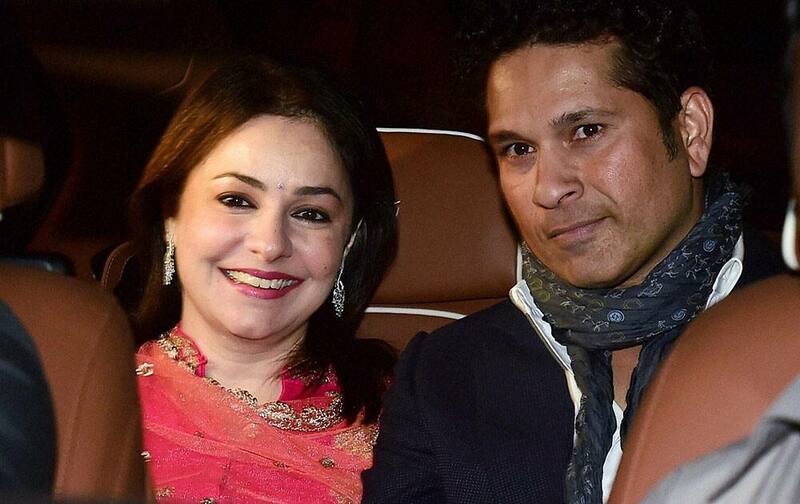 Sachin Tendulkar along with wife Anjali Tendulkar arrives to attend the wedding of cricketer Rohit Sharma. 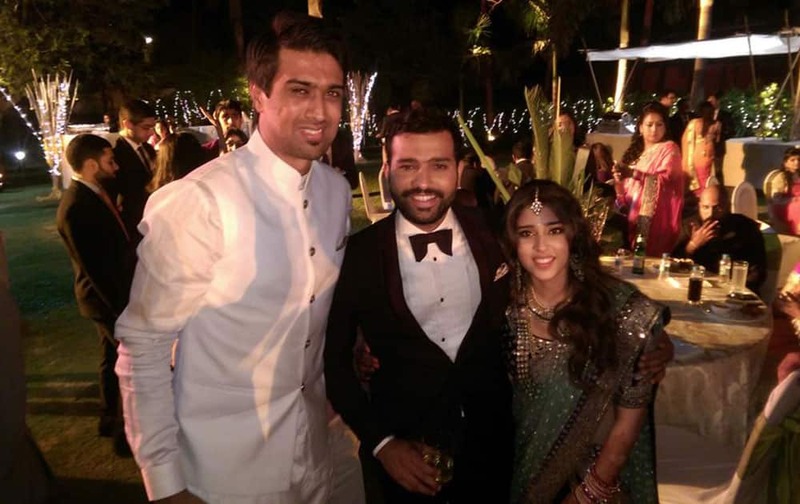 Cricketer Mahendra Singh Dhoni along with his wife Sakshi Dhoni and daughter Ziva during the wedding celebrations for cricketers Harbhajan Singh and Rohit Sharma. 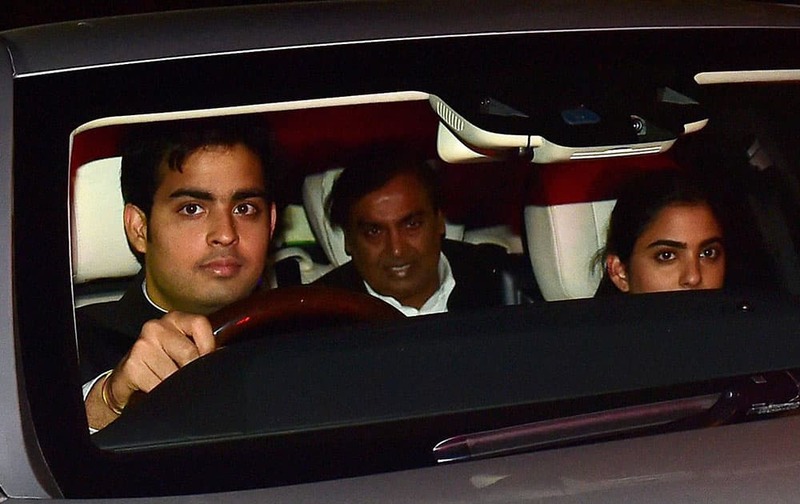 Ambani Family arrives to attend the wedding of cricketer Rohit Sharma in Mumbai.